Japan Science and Technology Agency. 学会発表１９９７＠Ｃ１ . 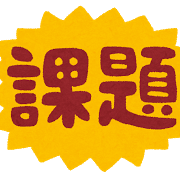 山形大学, 卒業研究（Ｃ１-電気化学２００４～） 講義ノート, 1997. https://edu.yz.yamagata-u.ac.jp/developer/Asp/Youzan/@Lecture.asp?nLectureID=3005 , （参照 2019-4-25 ）.